Hi friends! I hope spring has sprung where you live, because where I live, right on Georgian Bay, most of our snow has melted and we had quite a few days above zero this week. It’s hard not to have a huge smile on my face while the sun is shinning and I’m out with my pups, Zip and Zoë (a.k.a. Zed²). For today’s card share, I created a simple one-layer card. 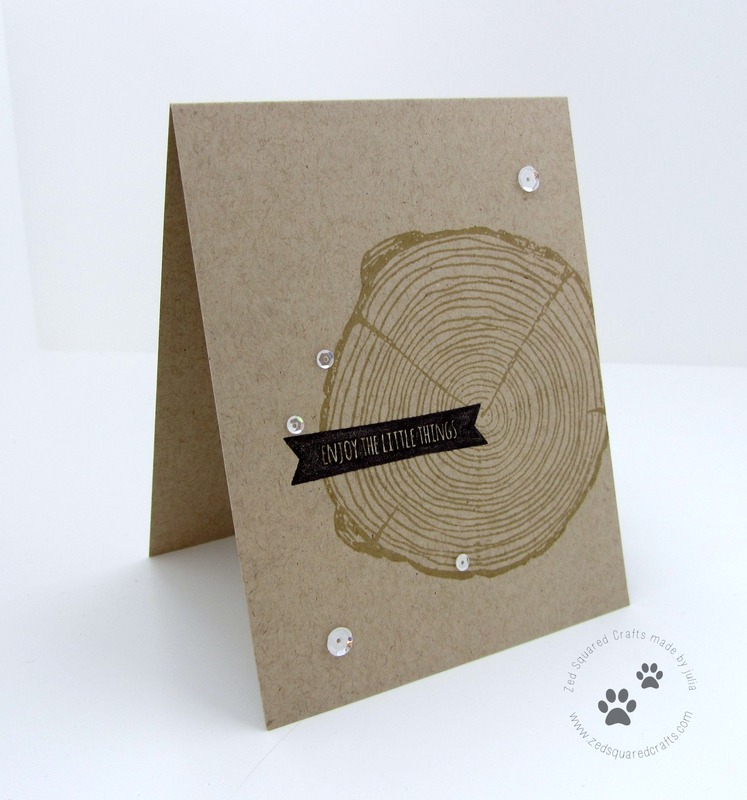 I’ve been dying to use my new Tree Ring Background stamp from Concord and 9th, so I just had to make a card that truly showcased how lovely it is. I have a how-to video to share. You can watch it below, or over on my YouTube channel. 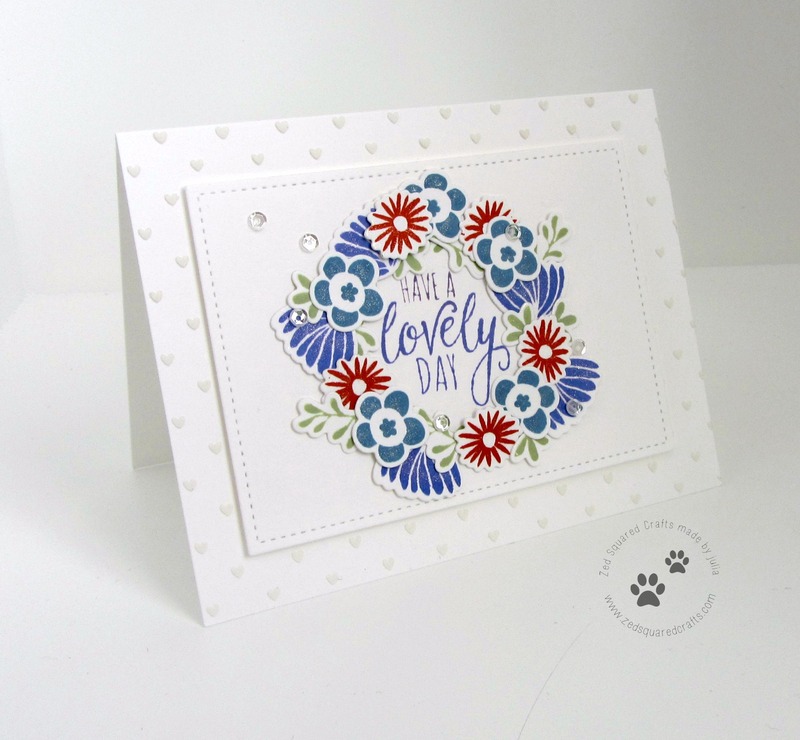 I kept this card very simple, to let the detail of the background stamp shine. Of course I had to add little razzle dazzle, so I did that with a few Sparkling Clear sequins (the “little things”), and some clear Wink of Stella for good measure. Hi Friends! Spring is in the air on the Zed Squared Crafts blog today. I’m ready to move into springtime, so I created this card to get me in the mood. I used stamps and inks that I got from a recent haul from Simon Says Stamp that I just couldn’t wait to break in. As usual, I have a how-to video to share. You can watch it below, or over on my YouTube channel. I’m so happy with how this card turned out. It did exactly as I hoped, and was a breath of fresh spring air.